These four black and white photographs show the Veterans Administration Hospital. Two are aerial views--one of the construction of the Veterans Administration hospital with the Winter Army General Hospital in the background. The other two show day and night views of the hospital. The facility was later renamed the Colmery-O'Neil Veterans Administration Medical Center. 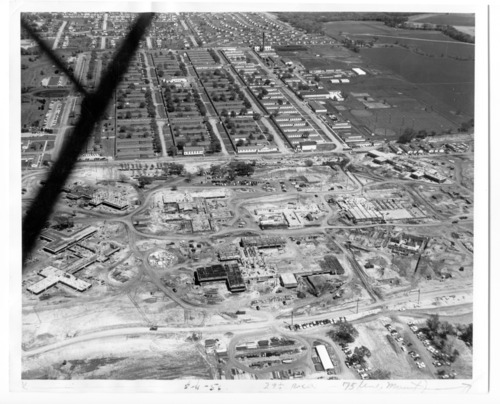 Topeka Veterans Administration hospital - An aerial view of the construction of the new Veterans Administration hospital in May 11, 1956.